The asparagus was steamed? Where’d the black part come from? 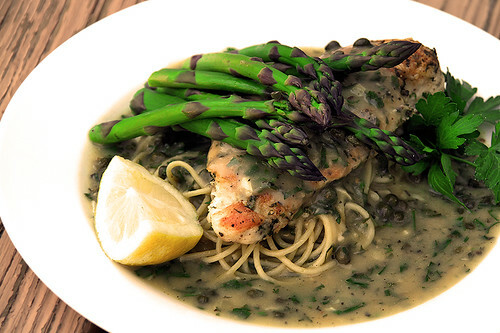 Both the asparagus and the dish looks delicious! Steamed to al dente, yes. Black part? Not sure. But thanks for visiting. Wow, this dish looks amazing! Excellent photo, such vivid colors! Lovely vibrant colour on the asparagus! Ohm, it looks so beautiful! Love that you added capers! My fave! Thank you! I believe capers are a staple of the piccata sauce. If I only tried piccata sauce before I would have known! 😉 I have a feeling I’ll like it… a lot…. Your asparagus look so vibrant!